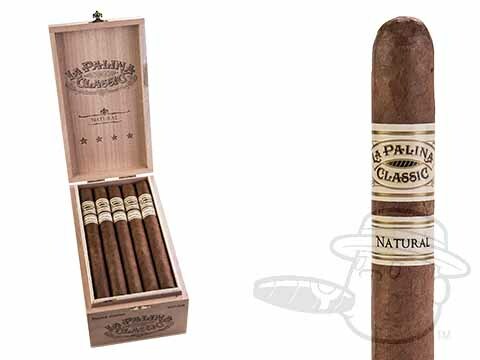 The La Palina Classic is a medium-bodied blend that captures the perfect mix of sweetness, spice, and earthy undertones. A Brazilian-grown habano seed wrapper holds an Ecuadorian binder around select Dominican and Nicaraguan fillers, building a fantastic balance of complimentary tasting notes. Light up the La Palina Classic and immerse yourself in a relaxing mosaic of nutty, bright, and tangy flavor with a light chocolate finish.